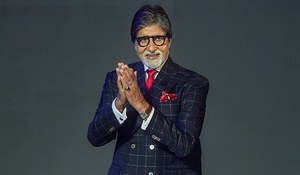 It's the first time Big B and Amir will share the screen, and luckily fans in Pakistan can also see the Yash Raj Film. For the first time ever, Amir Khan and Amitabh Bachchan will be sharing screen together in Aditya Chopra’s Thugs of Hindostan and luckily enough the audiences in fan will also be able to see the movie in the cinemas too. As per Entertainment.pk, the advance booking for the movie – set to release on November, 8 – has begun thus confirming the film’s release in the country next week. Albeit that the announcement of Thugs of Hindostan release in Pakistan came in August and cinema houses were promoting the big movie, last week Supreme Court’s decision to ban Indian content had created an uncertainty. Two days ago, however, the advance booking started and fans of Big B and Perfectionist Khan in Pakistan can now take a sigh of relief. Alongside Amitabh Bachchan and Amir Khan, the movie also stars Katrina Kaif. Directed by Dhoom 3 director Vijay Krishna Acharya, the action-adventure movie is set in 1795 era of pre-partition. The movie revolves around the story of a thug band that has the mission to free Indo-Pak Subcontinent from expanding British Rule.